To ensure the longevity and reliability of your BMW, it’s essential that it’s operating on the most high-quality parts and accessories. It’s also important to choose a parts center that you can trust to perform an honest, swift and thorough job the first time. 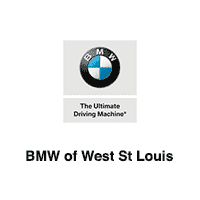 Fortunately, the team at BMW of West St Louis is committed to not only meeting your vehicle expectations, but exceeding them with the service that you and your BMW deserve. Across the St Louis, Wildwood and Chesterfield region, drivers know they can trust our experienced auto parts team to locate the right component for their vehicle. Ultimately our goal is to replace the stress of locating a BMW part or accessory, with complete peace of mind. Whether our customer is looking for an original equipment part or a vehicle replacement part, our team is knowledgeable and equipped to not only locate the part but replace it in a timely manner. If you’re currently in need of a specific part or accessory for your BMW model, simply complete the parts request form below. We also encourage you to browse our parts specials to see if you can save on a specific part or accessory. In addition to providing high-quality BMW parts and accessories, you’ll also find that our service offers expert routine maintenance services and repair to help create a like-new driving experience. If you need to schedule an appointment, you can contact our team directly by calling 888-691-2829. When it comes to your BMW vehicle, you want to make sure that it’s running to its fullest potential for as long as possible, and the best way to achieve that is to only use genuine OEM BMW parts when performing maintenance or repairs on your vehicle. Here at BMW of West St Louis, we can provide you with just that. Our parts center carries all of the genuine BMW parts, tools and equipment that you need to get your BMW vehicle performing and looking like new for the many long miles ahead. We know that your BMW vehicle is important to you, and you want to treat it accordingly. 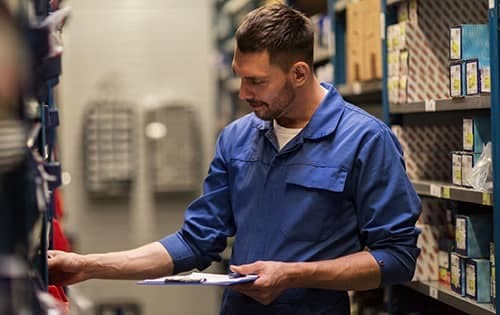 While other parts stores may sell you whatever they have and tell you it’s the same and buying parts online can leave you waiting weeks for arrival and always run the risk of buying counterfeit parts, we have everything you need and more to quickly, confidently, and correctly service your BMW vehicle today! Whether you’ve been working on cars your entire life or you’re new to the process, if you’re in need of genuine BMW parts in the greater St. Louis, MO area, we welcome you to come get them all right here in our parts center today! You can have confidence knowing that the parts were designed specifically for your BMW model and are going to allow your vehicle to perform the way it was engineered to perform. You won’t have to wait around or travel a long distance to get the parts you need. Many BMW parts come with warranties while aftermarket parts do not. You’ll end up paying less overtime using genuine BMW parts because they are made specifically to be used on your BMW model, while aftermarket parts can cause other problems and end up costing you much more. If you’re in need of genuine BMW parts in Manchester, MO or near St. Louis, Wildwood, MO or Chesterfield, MO, we welcome you to fill out a parts request form or come see the experts in our parts center today! We encourage you to also check out our always changing selection of parts specials to see if getting the parts you need can be easier and more affordable than ever before!